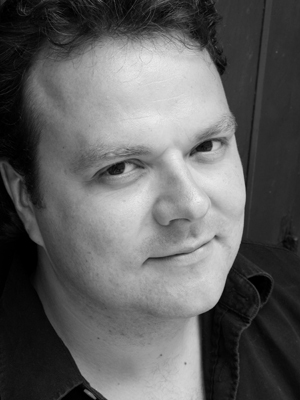 Hal Cruttenden is one of the one of the top comedians working in the UK today, as well as being an accomplished writer and actor. Already this year he has appeared on 'Rob Brydon's Annually Retentive' for BBC3 and has just finished writing and performing in 'The Omid Djalili Show' due to be aired on BBC1 towards the end of the year. His other television credits include, 'The 11 O'Clock Show', (Channel 4), 'Brain Candy' (BBC3), 'Live at Jongleurs' (UK Gold/Paramount), 'The Comedy Store' (Paramount) 'The World Stands Up' (Paramount Comedy Channel UK, The Comedy Channel Australia, and Comedy Central and BBC America in the U.S), 'The Warehouse' (Carlton TV), 'Carlton Comedy Warehouse' (Carlton/STV), 'The Deputy Prime Minister' (BBC2), 'Hoot' (Bravo), 'Net.Comedy' (Action Time), 'Daily Telegraph Open Mic Awards' (Channel 5) and 'House of Fun' (Meridien). He has also warmed up at the BBC for 'The Jonathan Ross Show' and the 'Keith Barrett Show' in addition to hosting the recordings for 'The World Stands Up' at The Clapham Grand. His radio appearances include Radio 4's 'Four at the Store' and Radio Ulster's' The Blame Game'. Having originally trained as an actor at the Central School of Speech and Drama, Hal's acting career includes roles on TV and film in 'Shackleton', 'Eastenders', 'Kavanagh QC', 'Out of the Blue', 'Touching Evil' and 'Bramwell'. On film he has been in 'Mrs Dalloway' and 'The Madness of King George'. Hal's big breakthrough in stand up came with his nomination for the Perrier Newcomer Award at the 2002 Edinburgh Festival for his solo show 'Hal', followed by a highly successful run the following year of his second show, 'To Hal and Back', which was also performed at the Soho Theatre in London at the end of 2003. At the 2005 Edinburgh Festival, he performed sketches with 'The Monkey Butlers' to sell out crowds at the Underbelly Venue. He is a regular performer at all the top UK clubs, including the Comedy Store and Jongleurs, and supported Ardal O'Hanlon and Omid Djalili on their recent nationwide tours. Internationally, Hal received rave reviews at the Just for Laughs Comedy Festival in Montreal in 2004 and at the Kilkenny Cat Laughs Comedy Festival in 2005. He has done shows throughout the Netherlands, Belgium, and Ireland, and even further afield in Abu Dhabi, Dubai, Qatar, Kuwait, Bahrain, Jakarta, Canada, Shanghai, Hong Kong and Singapore, where he appeared at the Jubilee Hall in the world famous Raffles Hotel. He performed at the opening of the first comedy venue in Bali and, earlier this year, did a week of shows to the Armed Forces in the Falkland Islands!